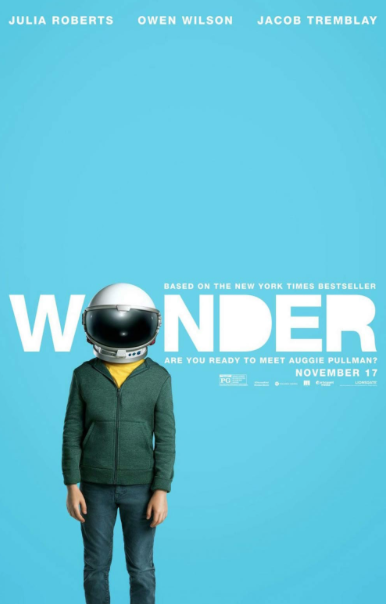 Last month, Jack and I had a movie date and he chose Wonder. If you haven’t seen it yet, make sure you do this holiday season — it’s a sweet movie with an important message of kindness and acceptance. 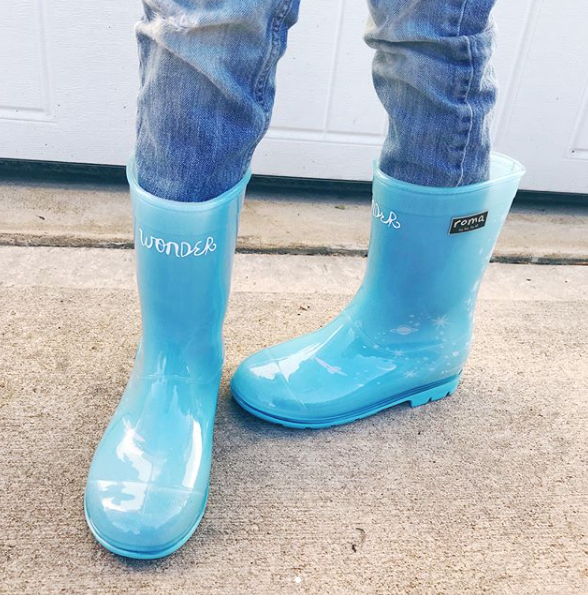 Jack got to wear his new Wonder rain boots by ROMA BOOTS. 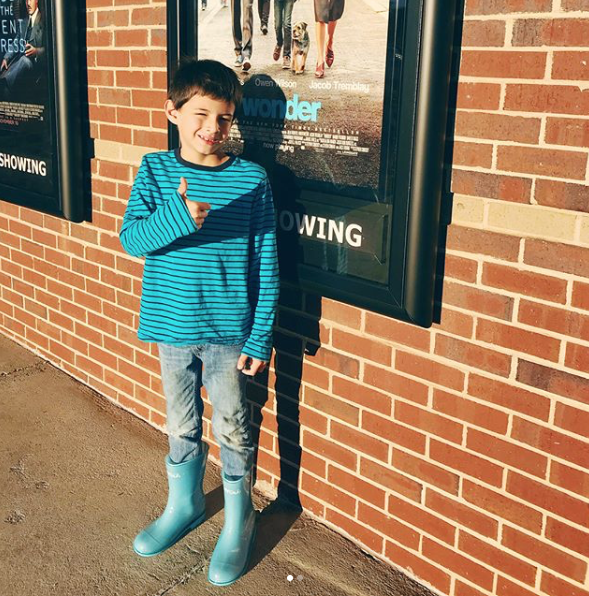 The WONDER Boot, a specially designed rain boot for children, was created in conjunction with the new movie Wonder. This limited edition boot is geared towards sharing the message of kindness, a message that ROMA has focused on since inception!